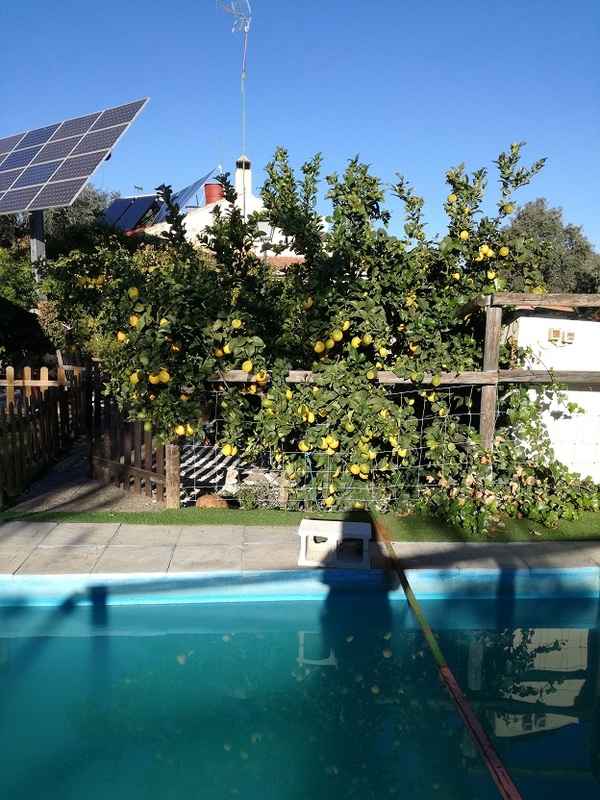 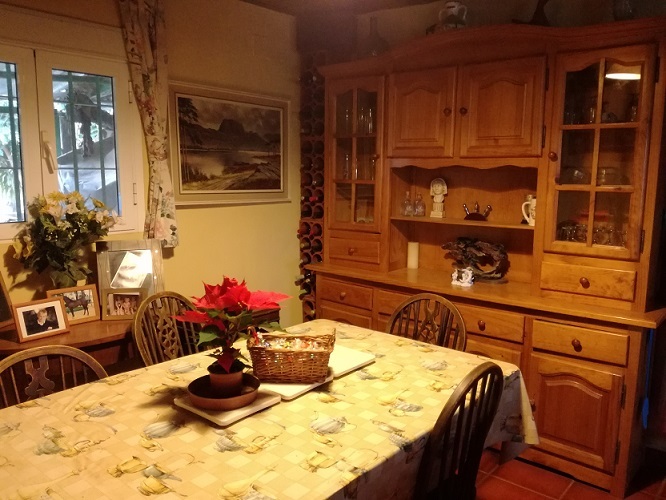 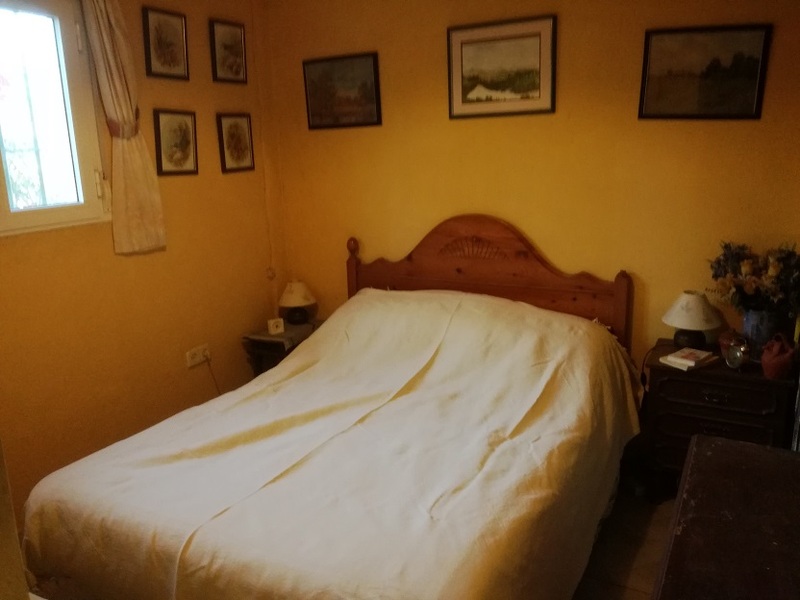 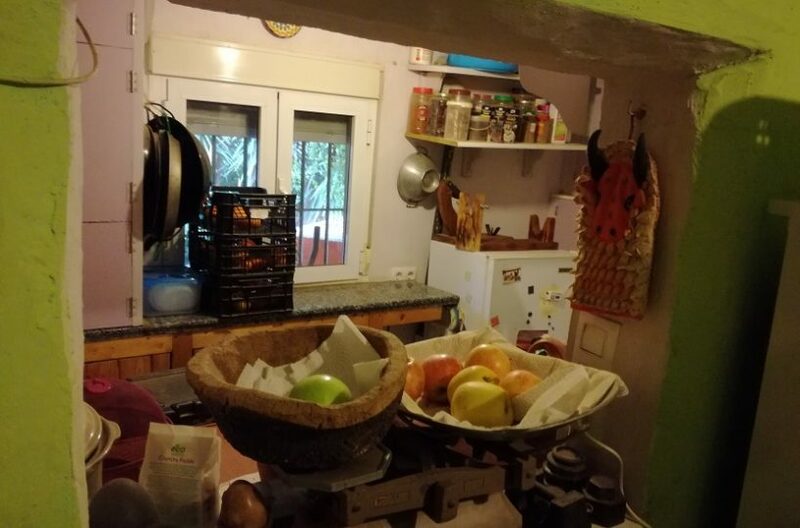 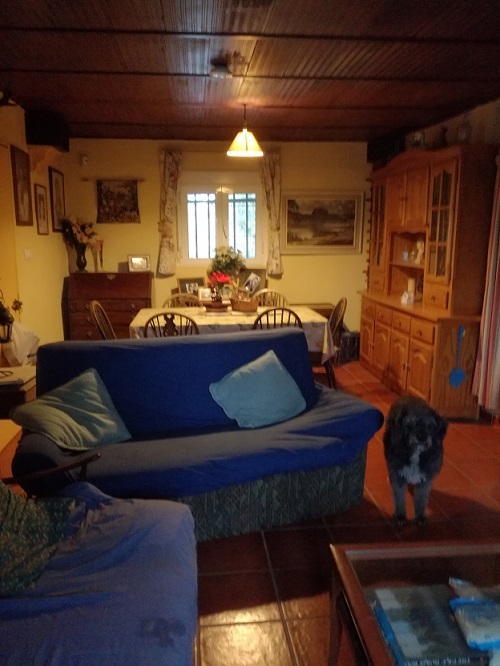 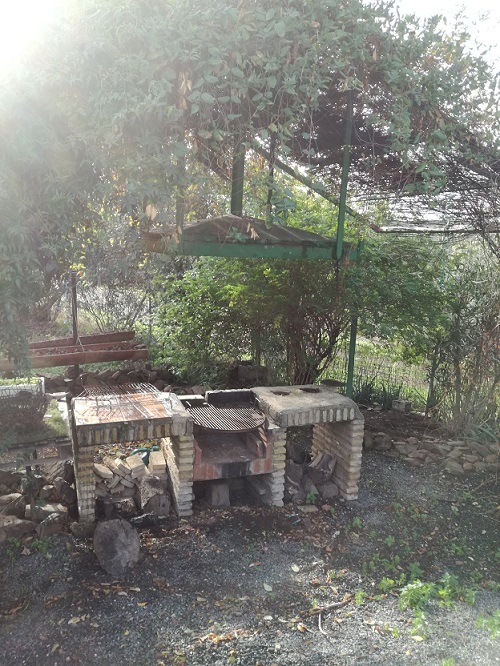 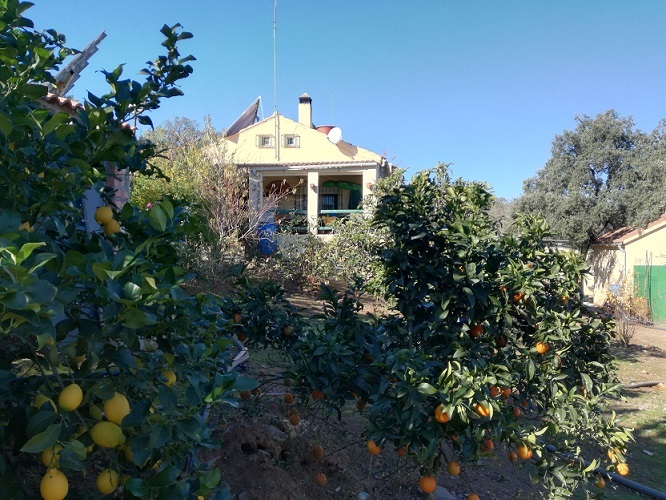 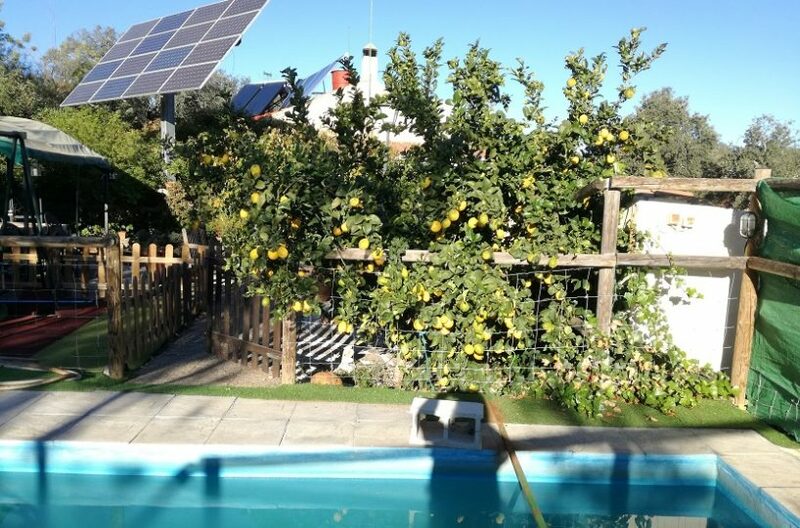 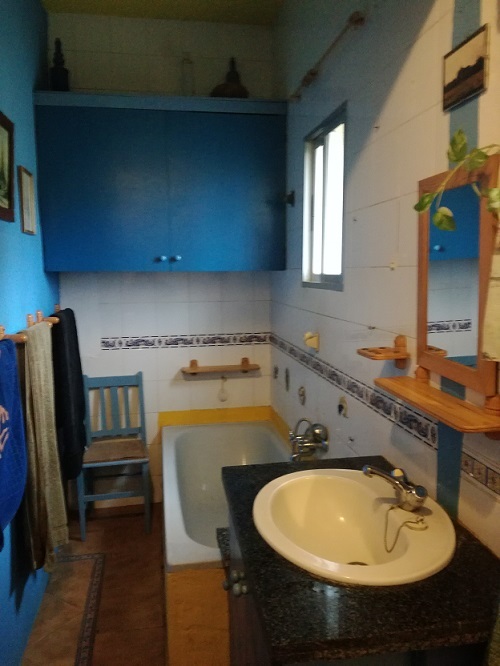 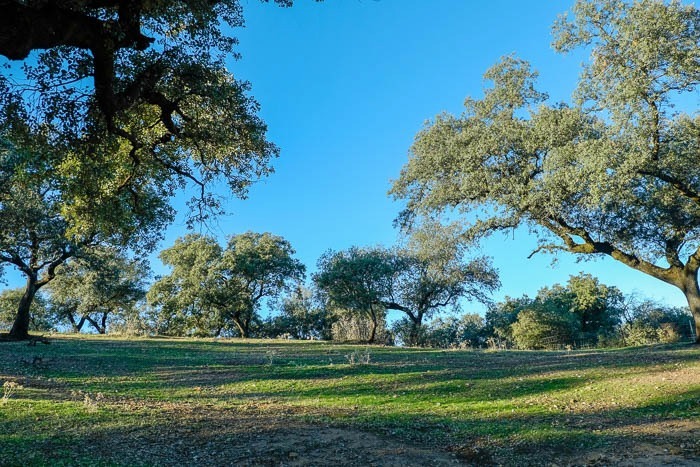 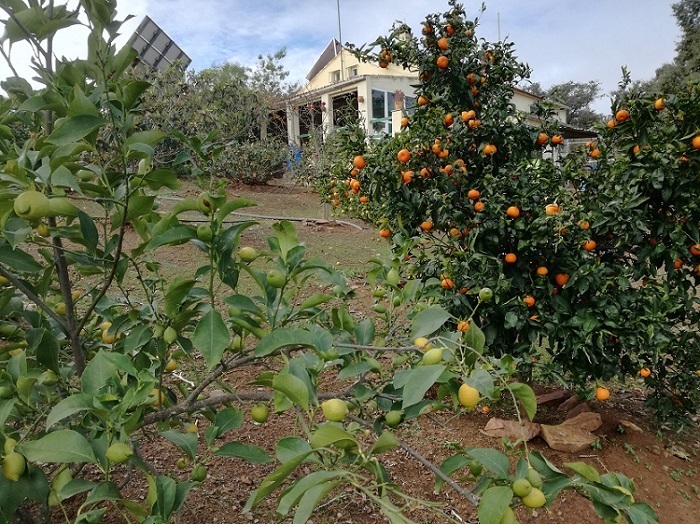 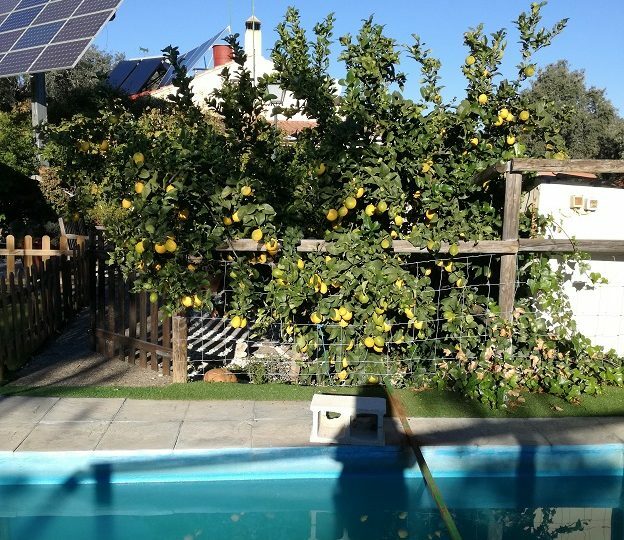 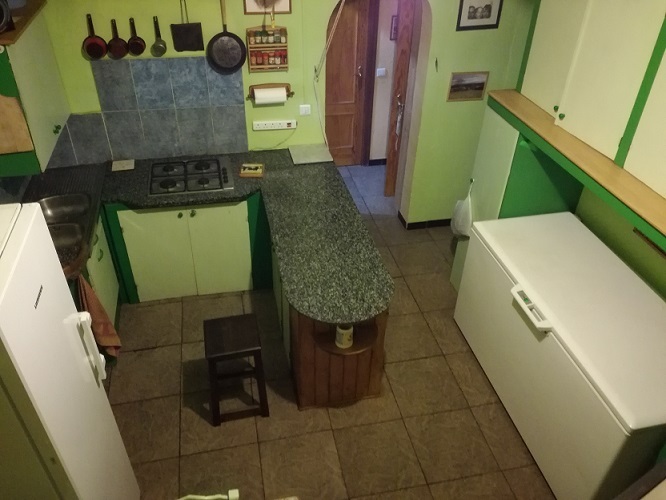 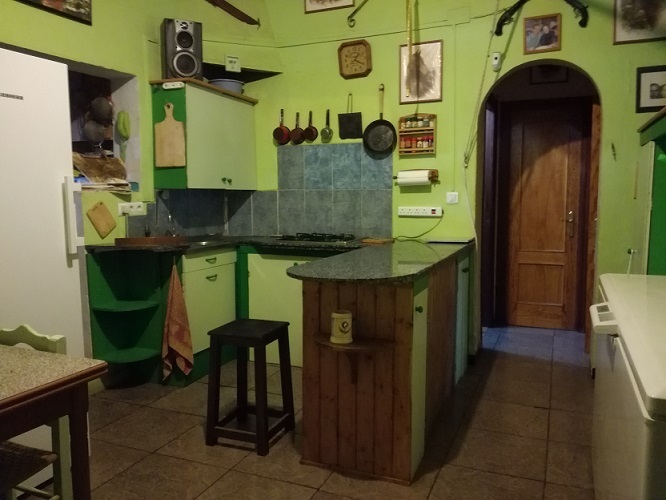 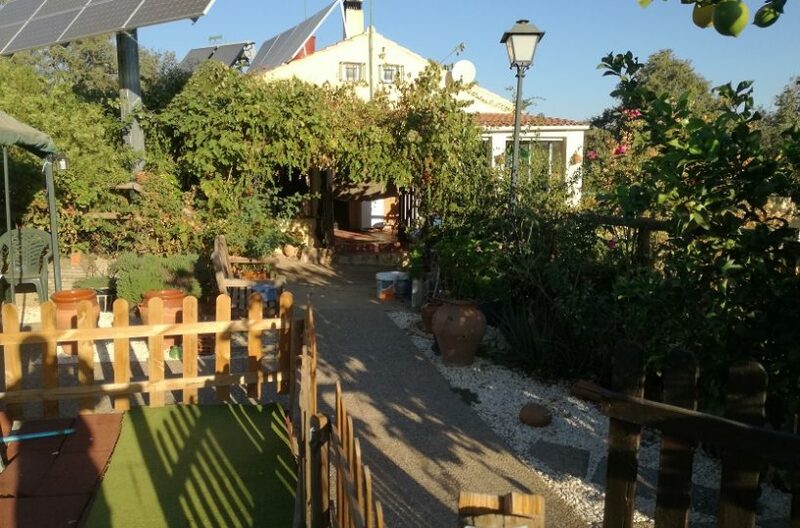 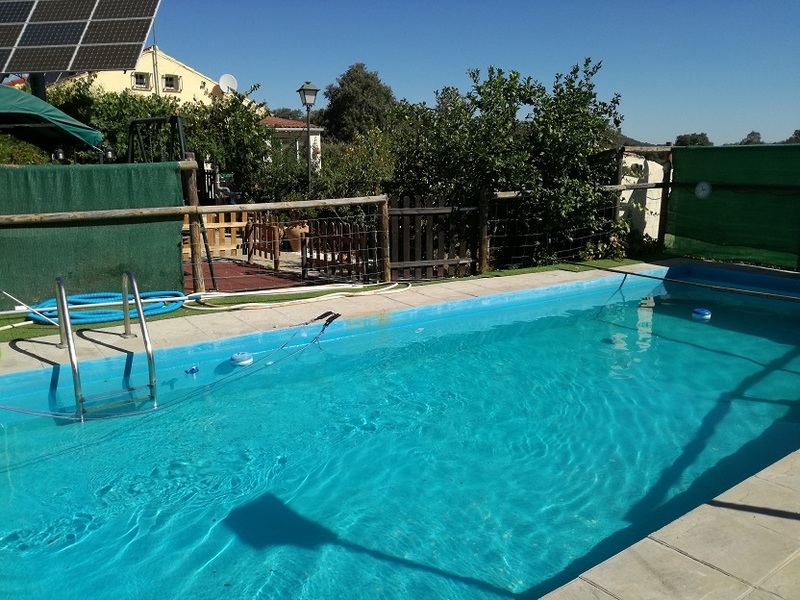 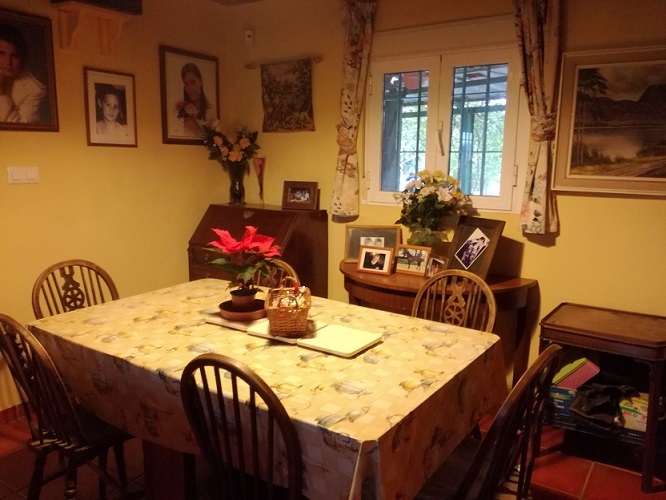 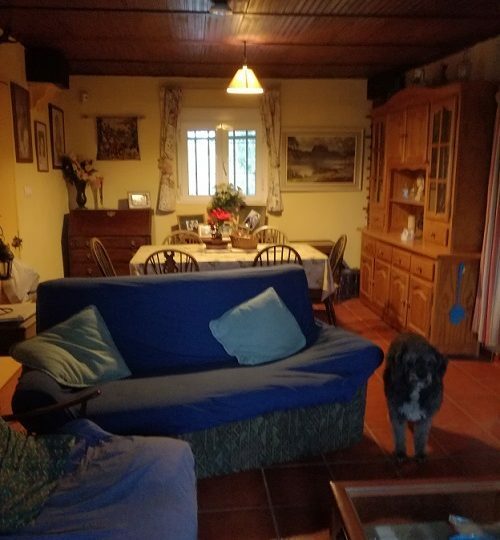 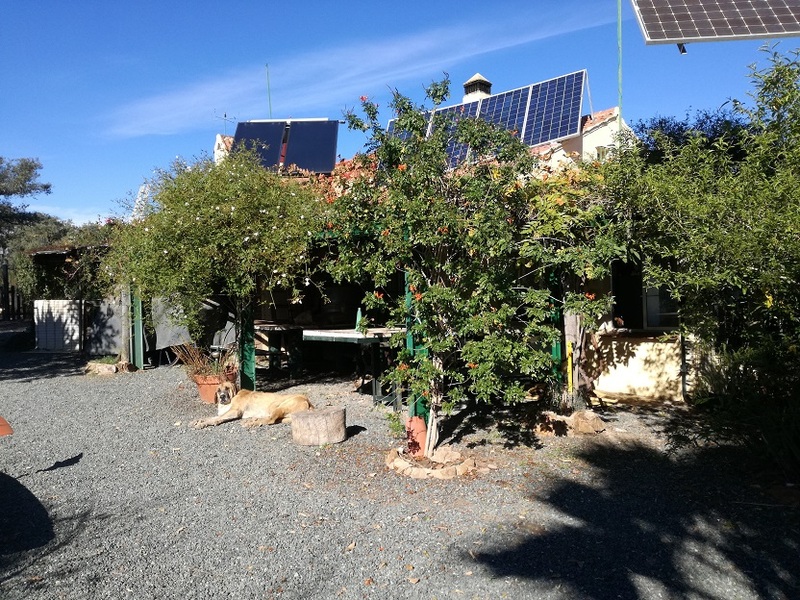 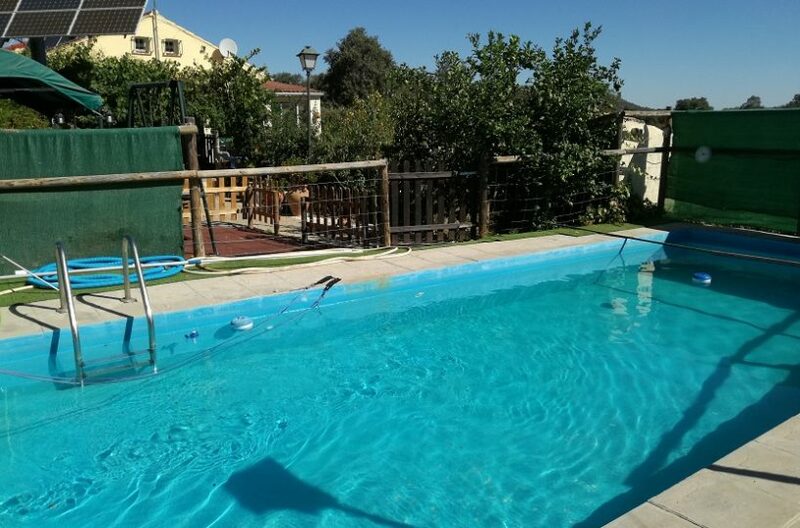 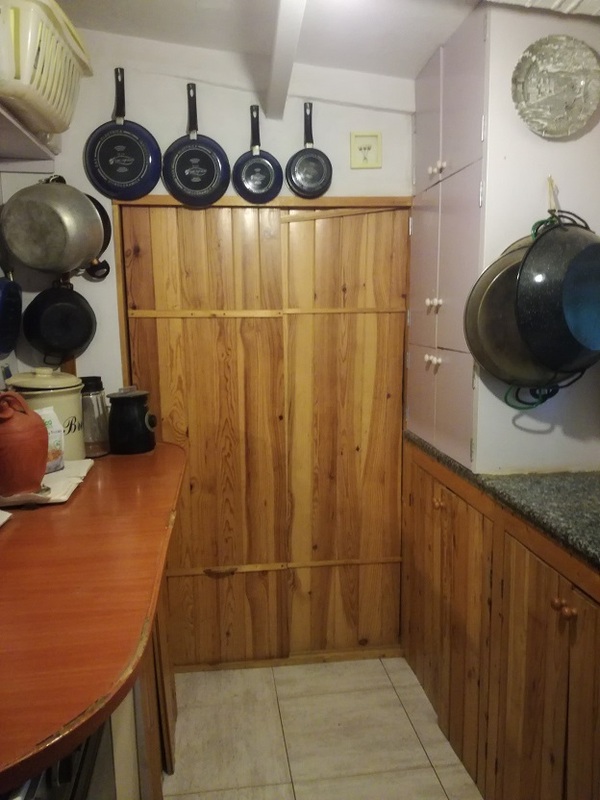 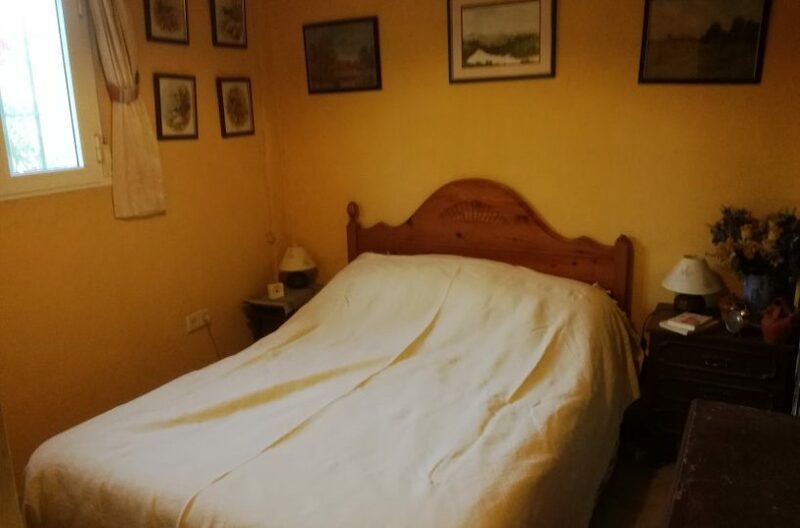 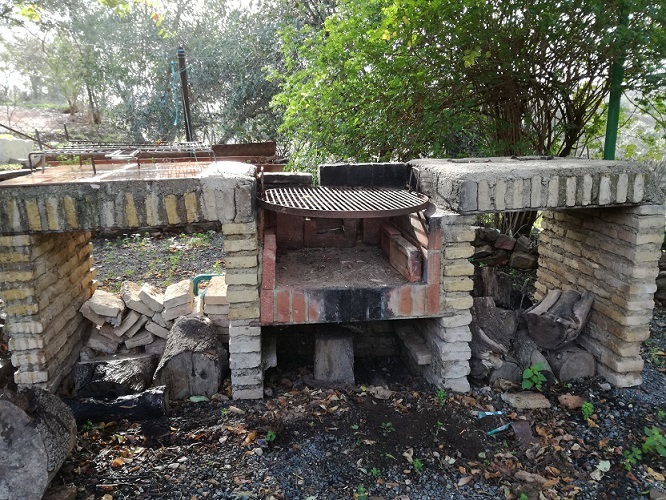 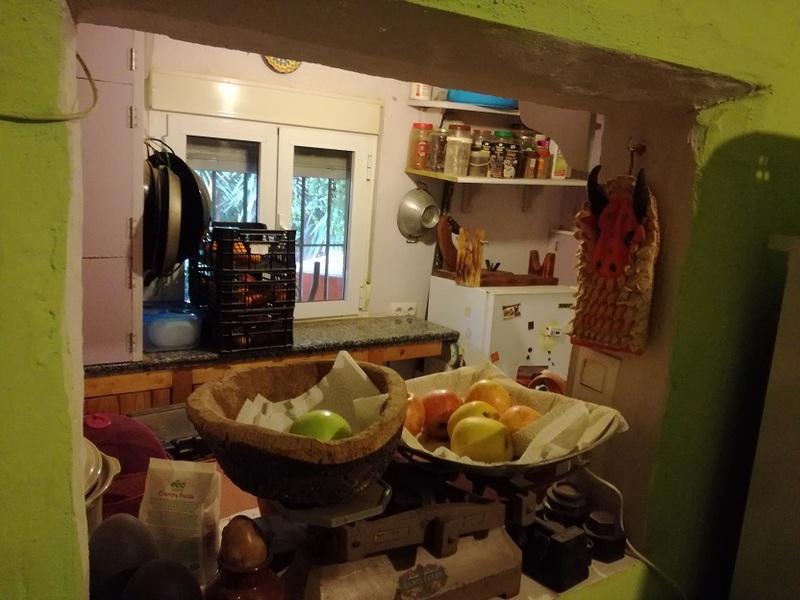 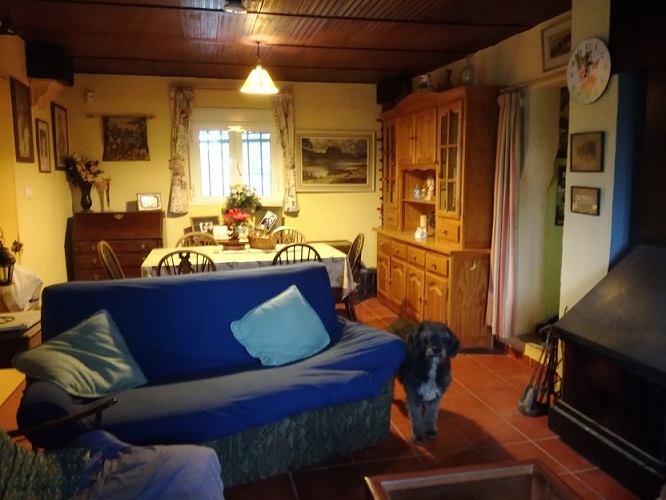 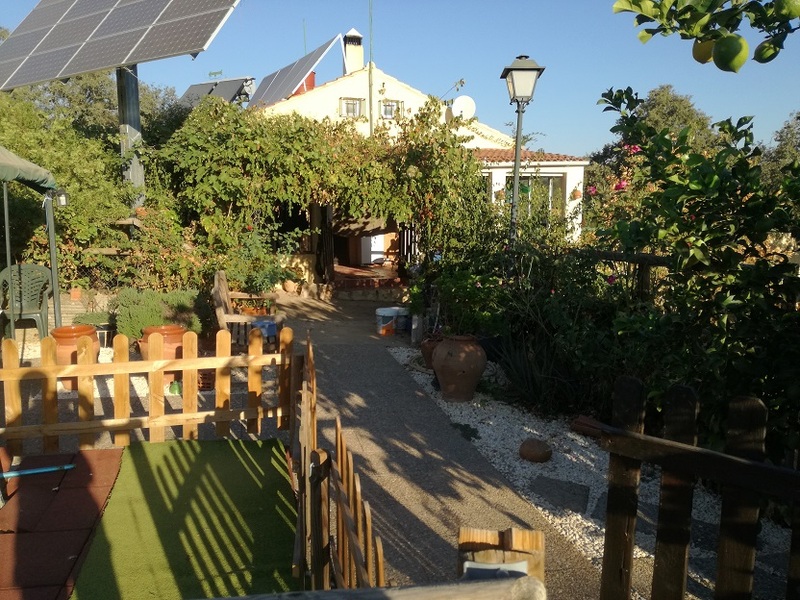 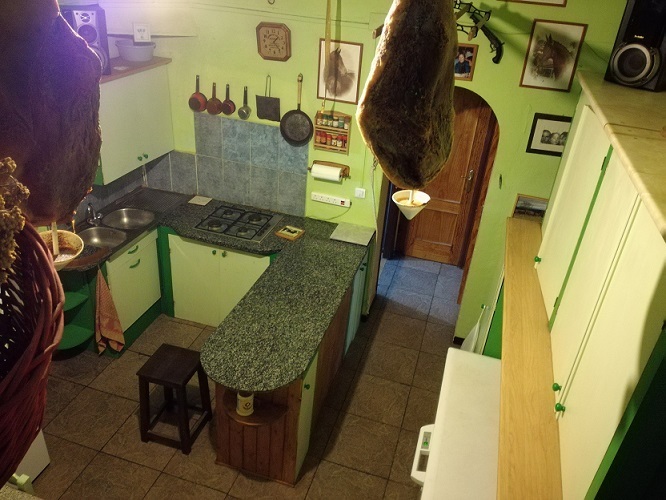 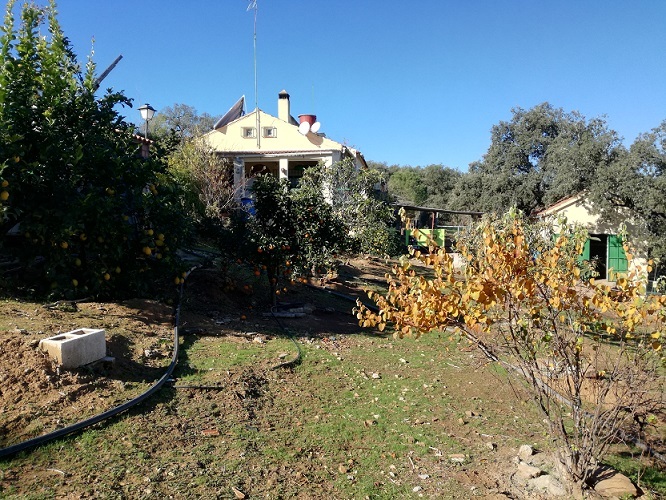 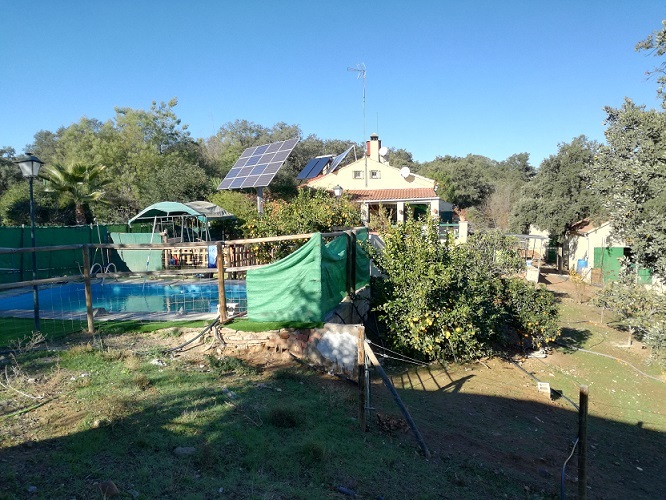 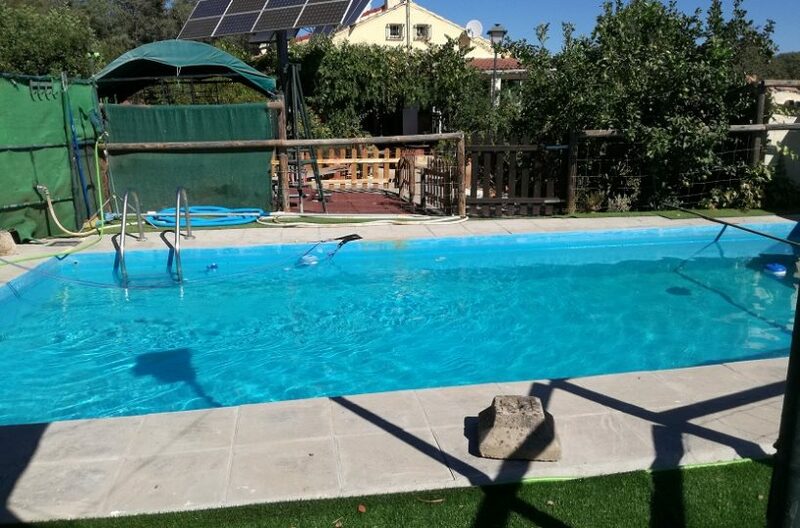 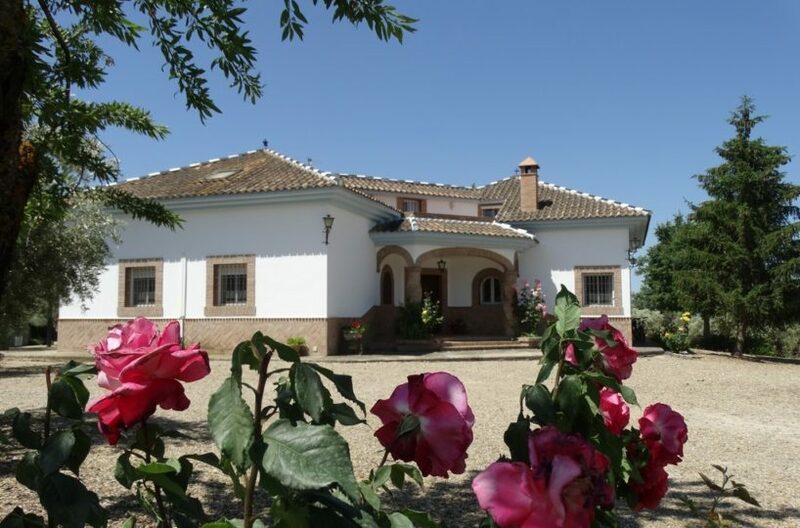 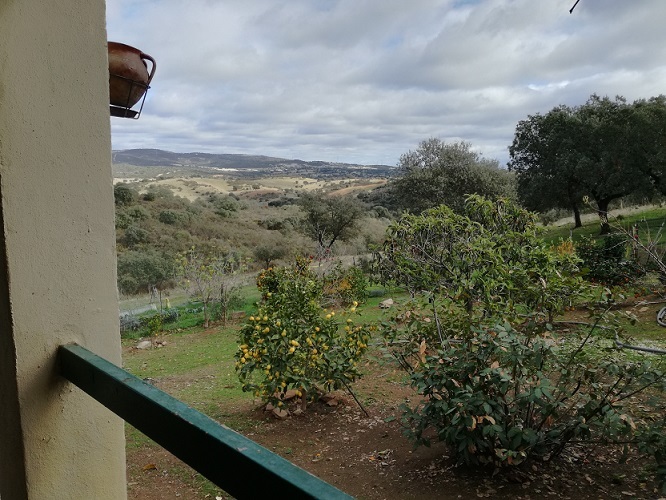 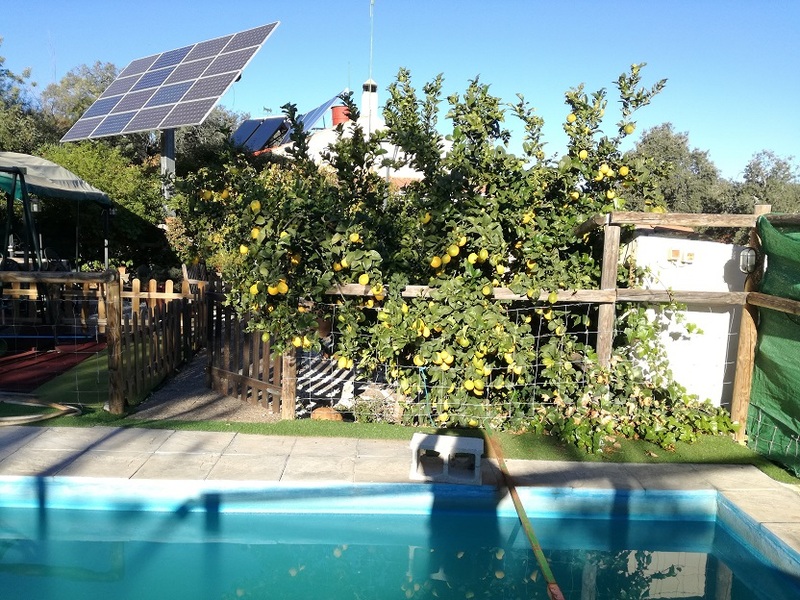 Attractive 3 / 4-bed, 1 bath Spanish property for sale, with stables, outdoor school, outbuildings and 4.25 hectares, off-grid, 3km from the closest village and 40 minutes from Seville. 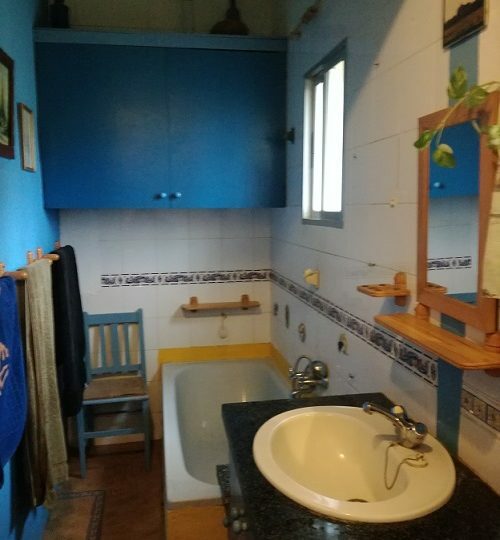 Also has a swimming pool and is approx. 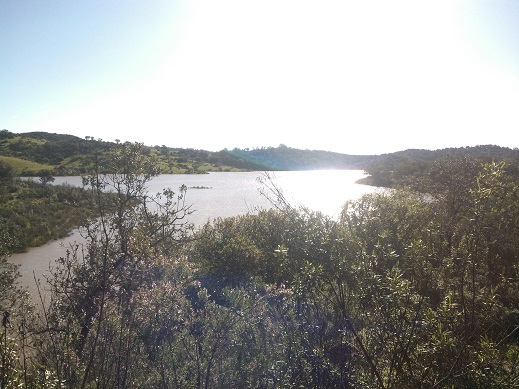 600m from a freshwater lake. 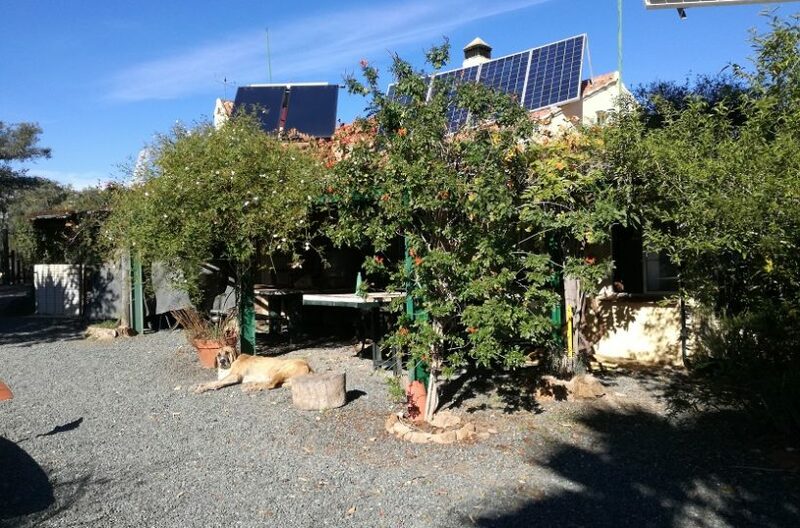 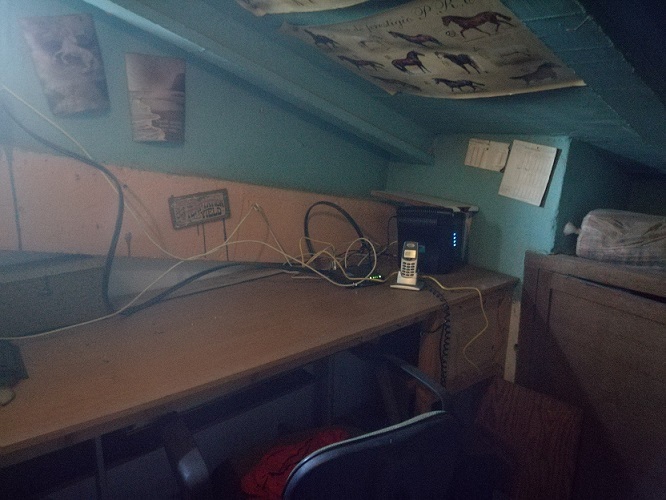 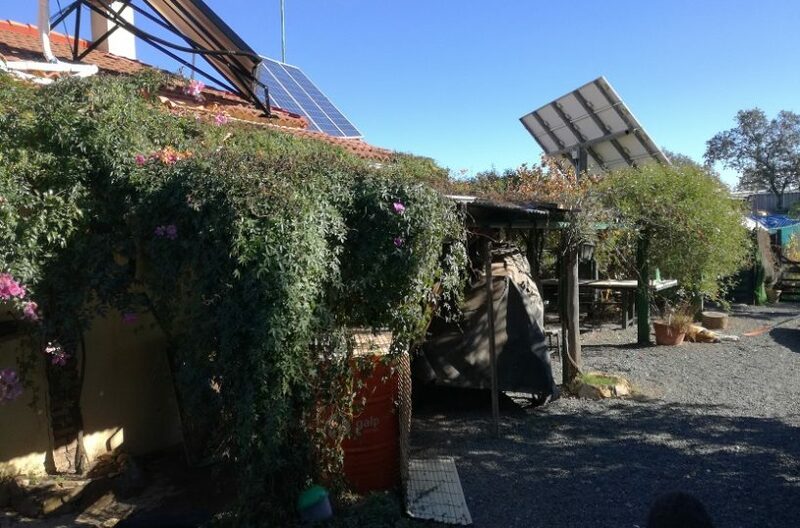 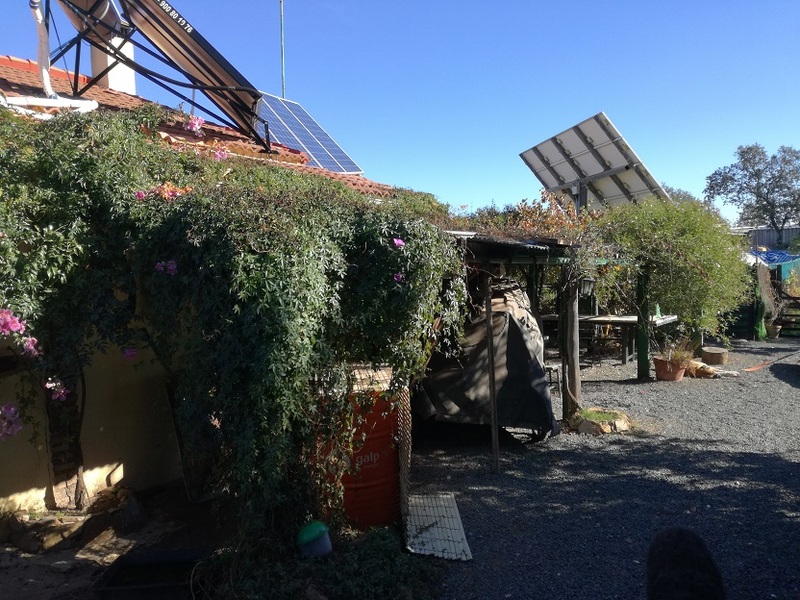 ​​​​This off-grid property is actually 2 properties separated by a dirt track. 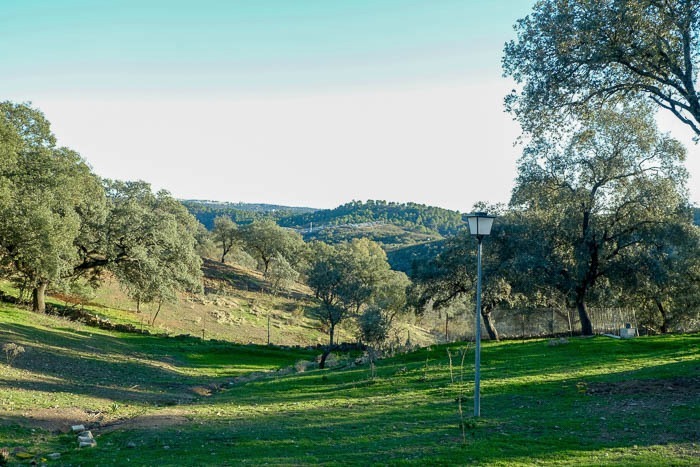 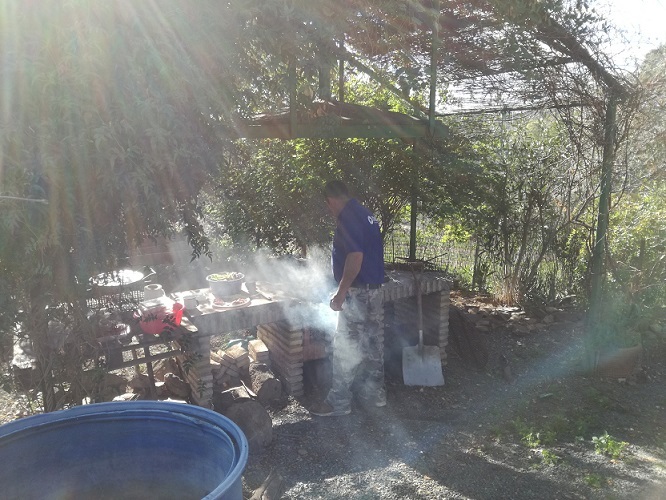 It is located in the middle of a lovely hilly area, approx. 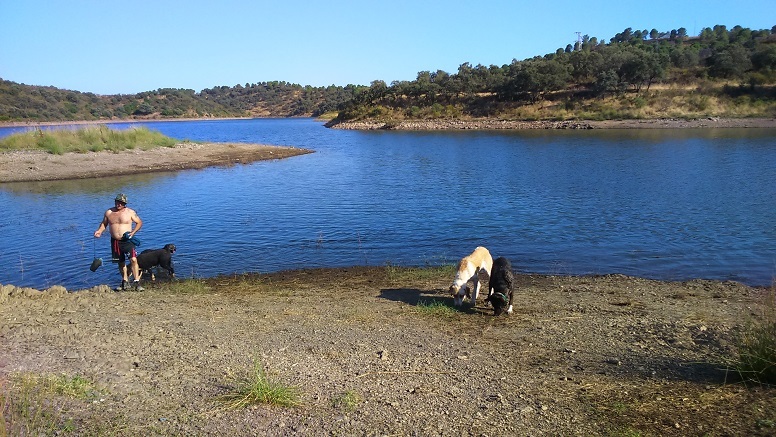 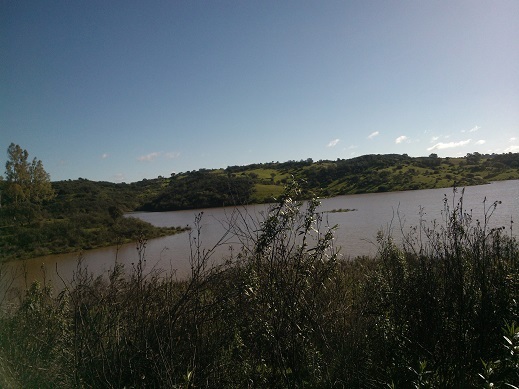 600m from the tail of a lake (formed by a dam), in which you can enjoy swimming and non-motorized boat activities. 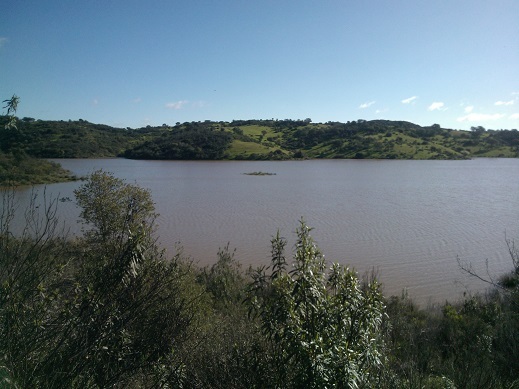 Fishing permits are also available. 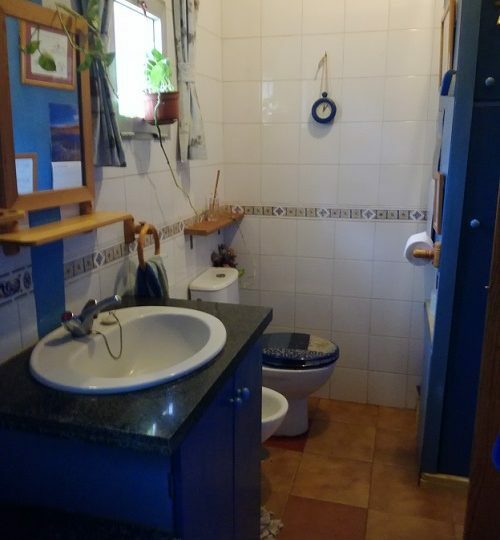 It is 3km from the closest village along tracks, and approx. 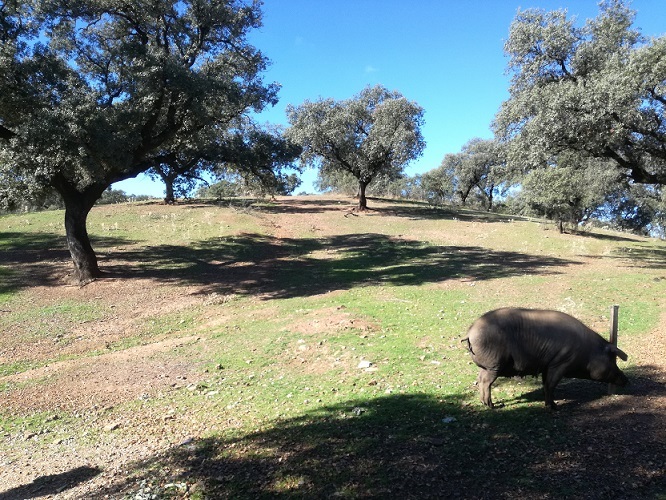 50km/40 minutes from Seville (via a dual carriageway). 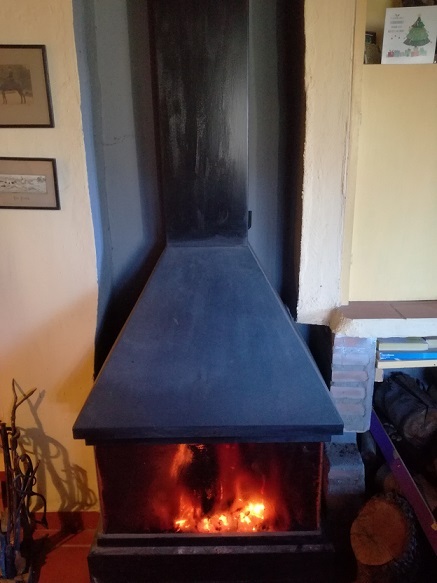 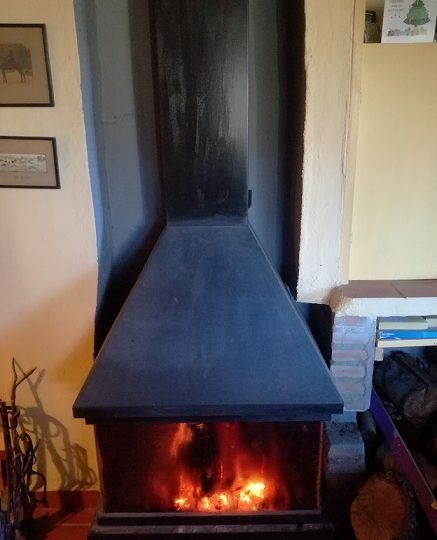 The sitting room has a big, very efficient wood burner. 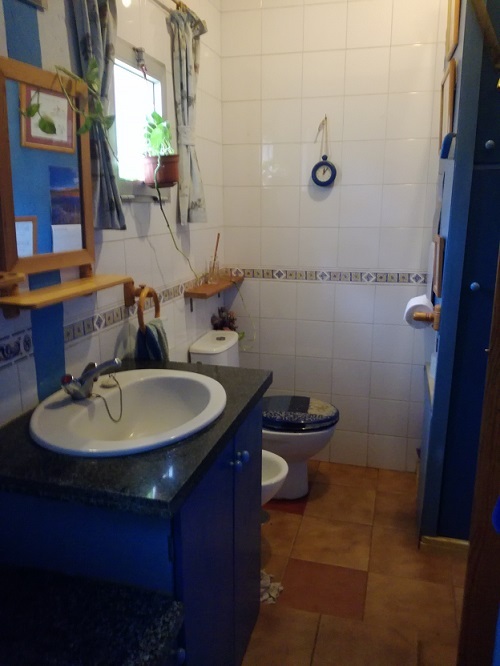 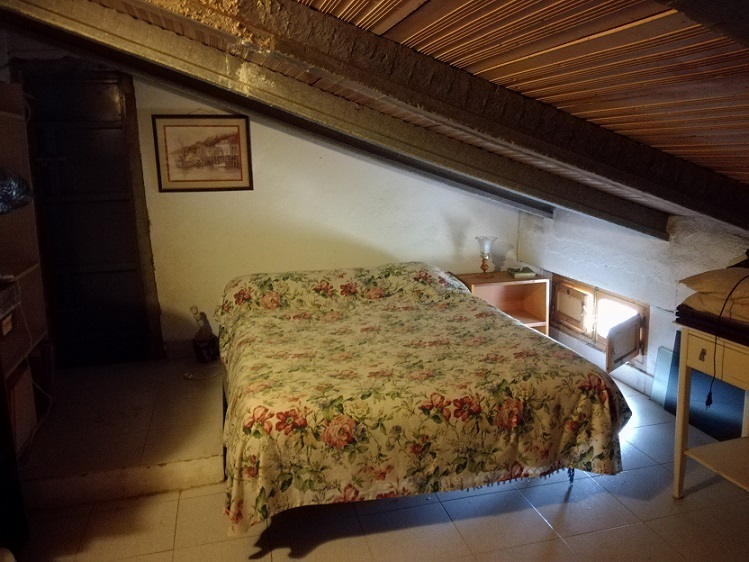 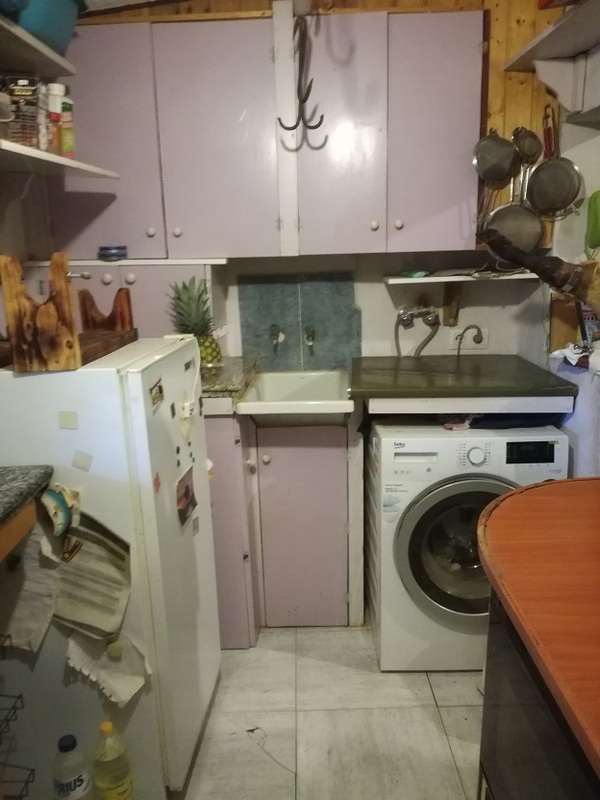 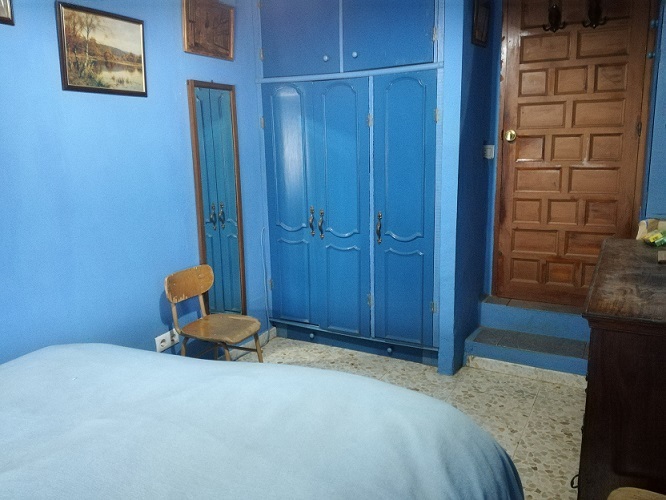 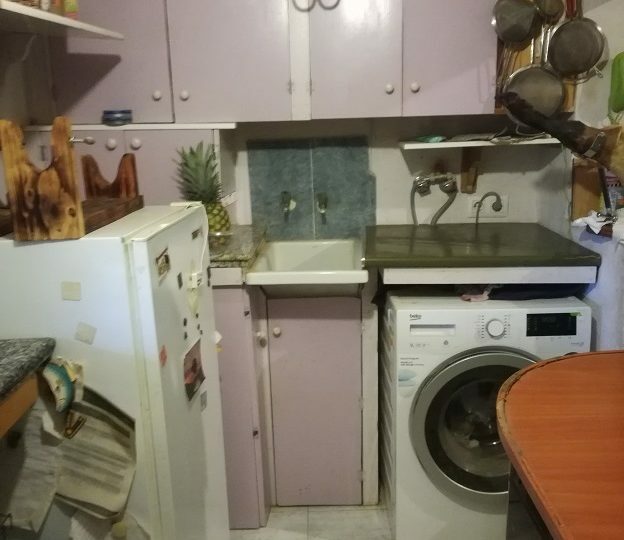 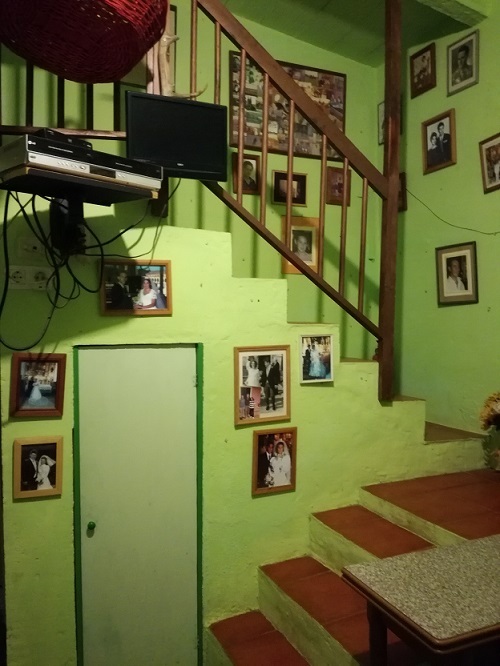 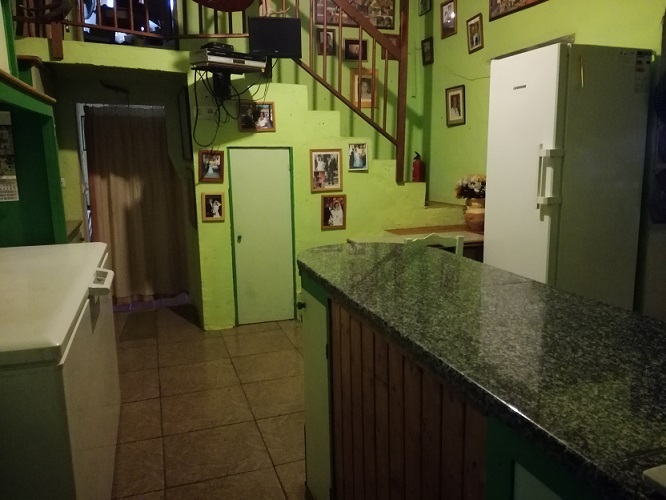 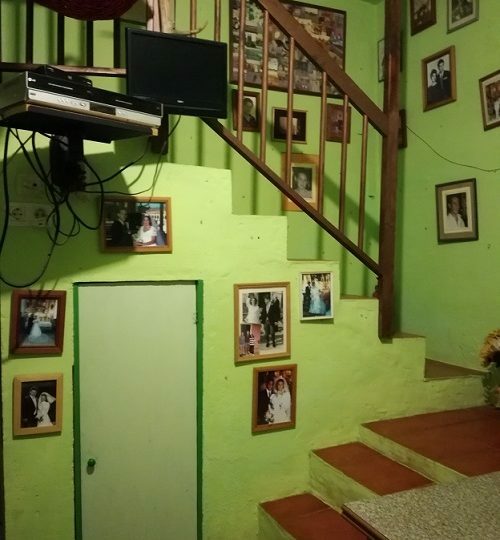 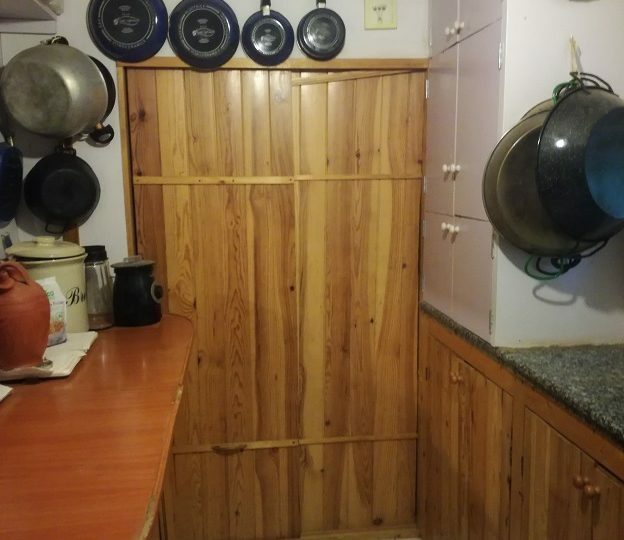 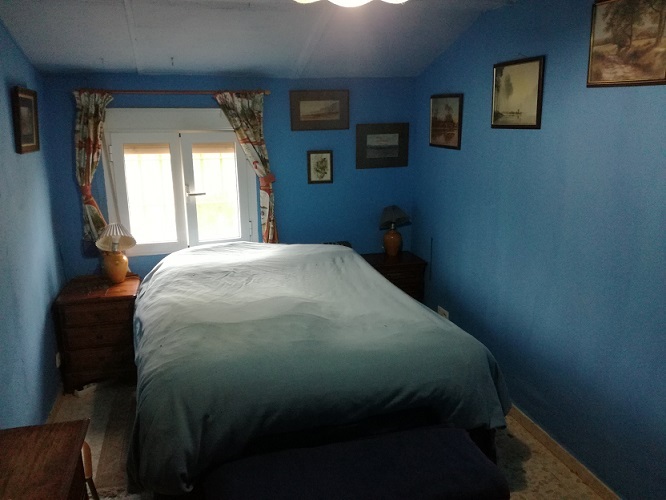 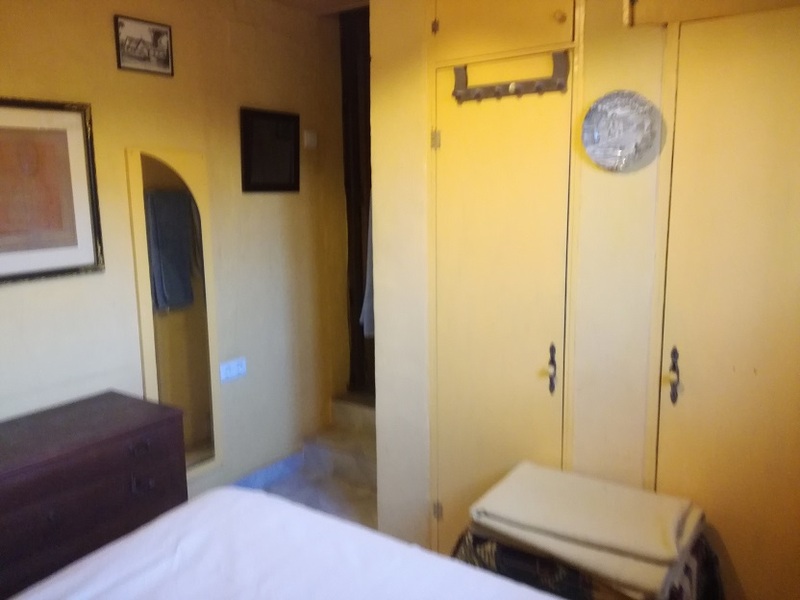 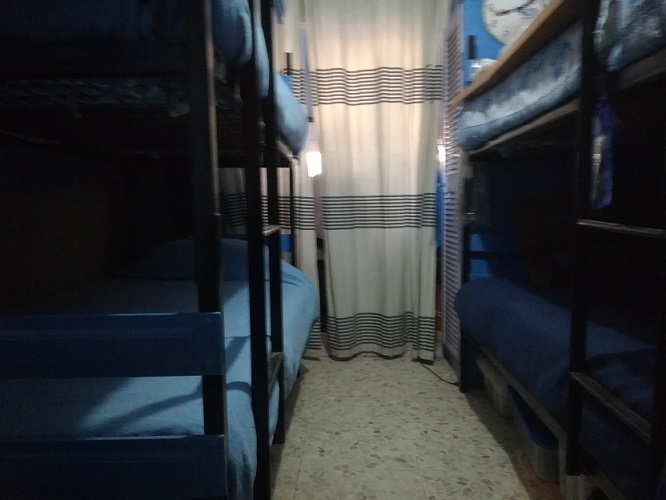 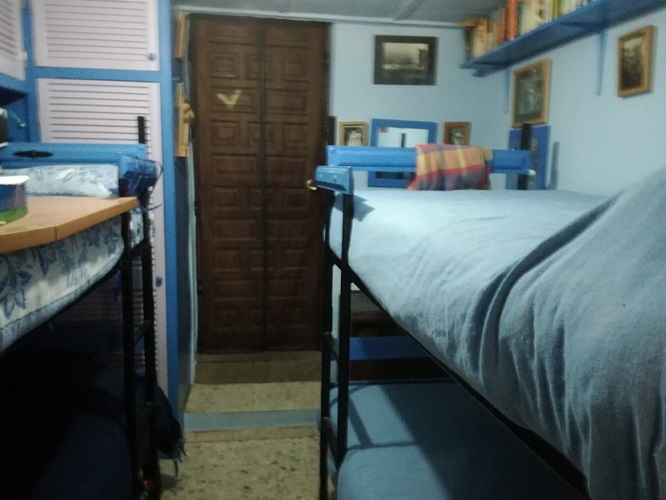 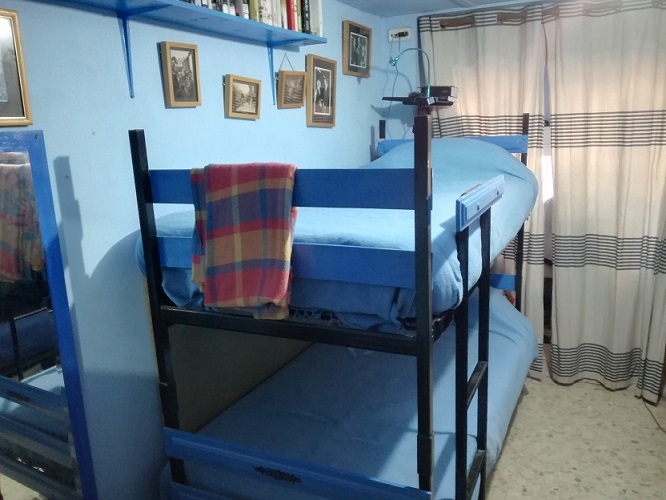 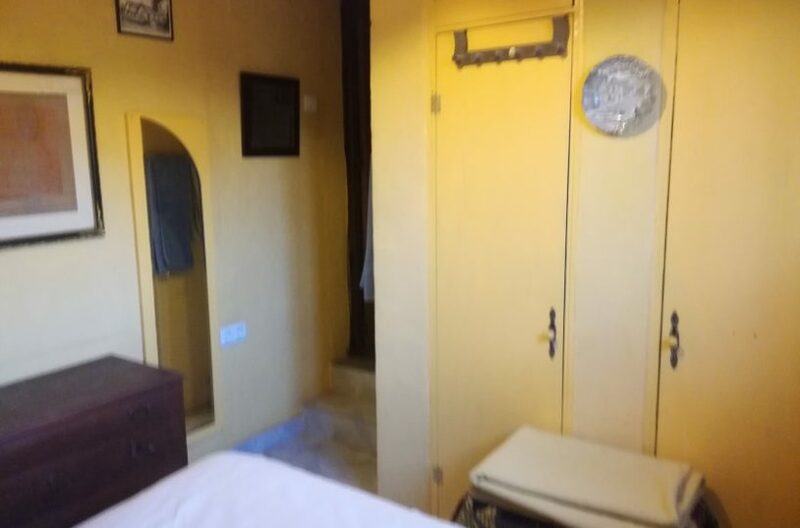 ​​​​​​​Also on the ground floor, there are three double bedrooms, 1 bathroom with bath, WC, bidet and toilet, a small entrance/boot-room, and a large porch. 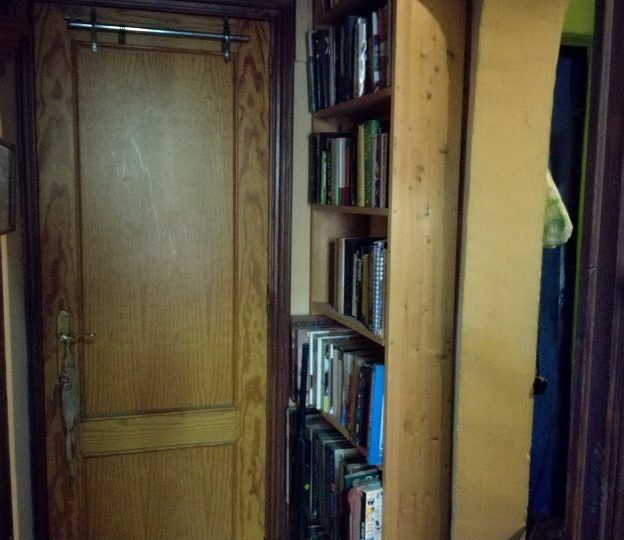 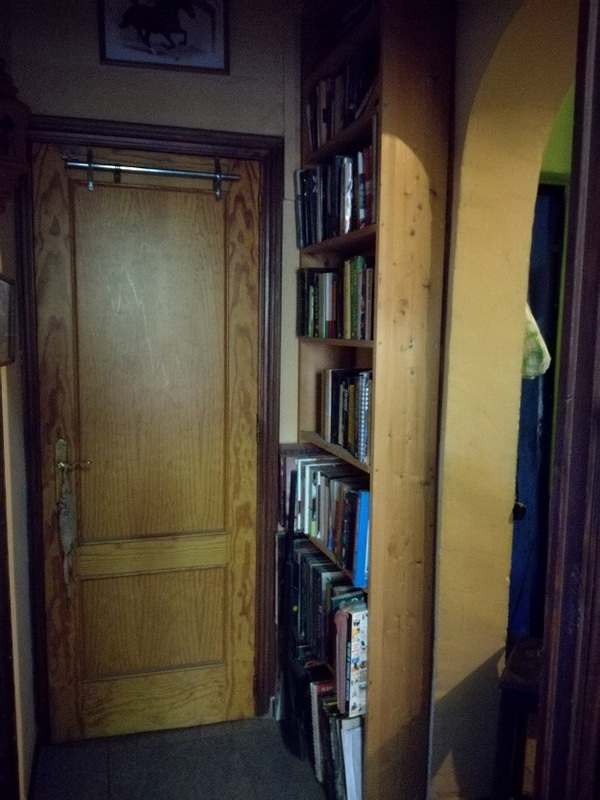 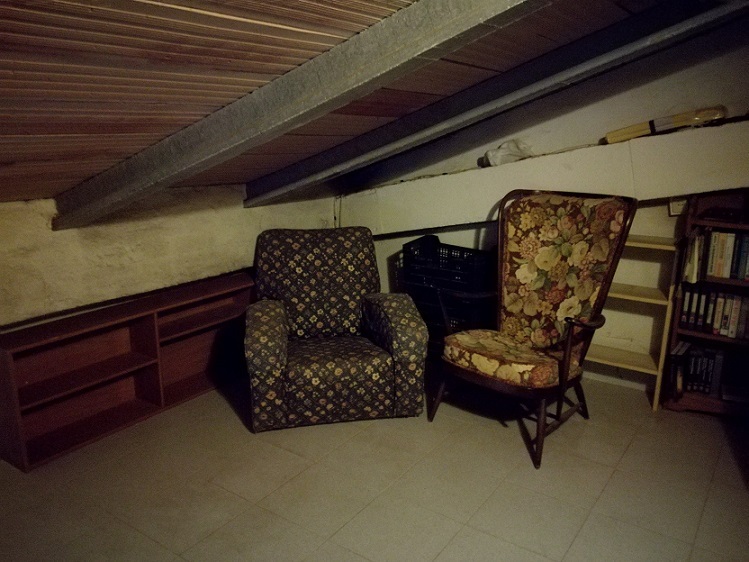 On the first floor/roof space there is a 4th bedroom, an office and a large storage area. 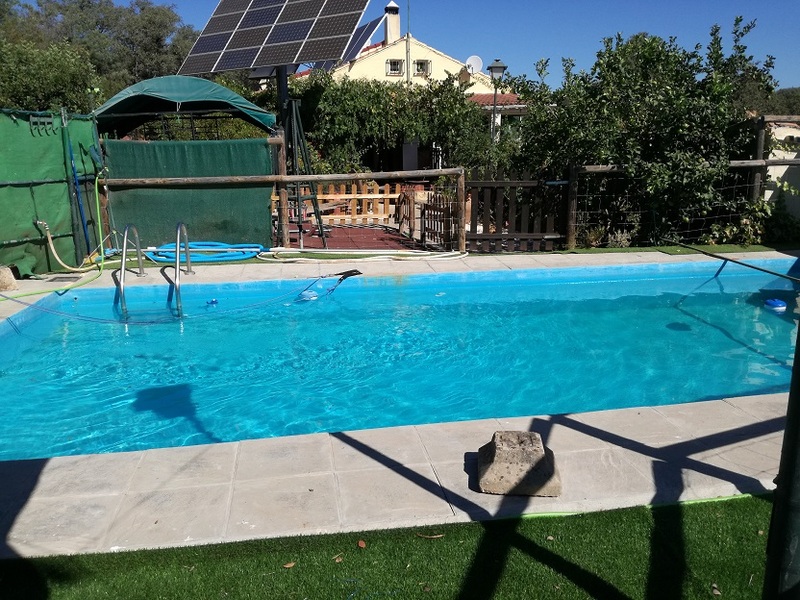 ​​​​​​​There is a large porch off the sitting/dining room, which leads to a patio area and 4m x 9m swimming pool. 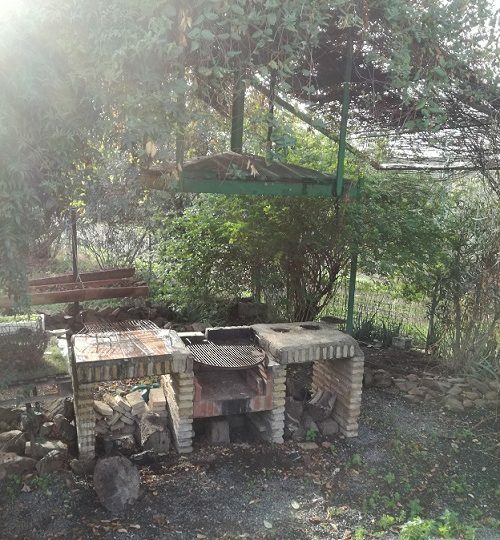 Along the front of the house are pergolas, with fixed tables and benches and a barbecue area.